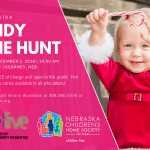 Nebraska Children’s Home Society will host the NCHS Candy Cane Hunt on December 8, 2018 at 10 a.m. 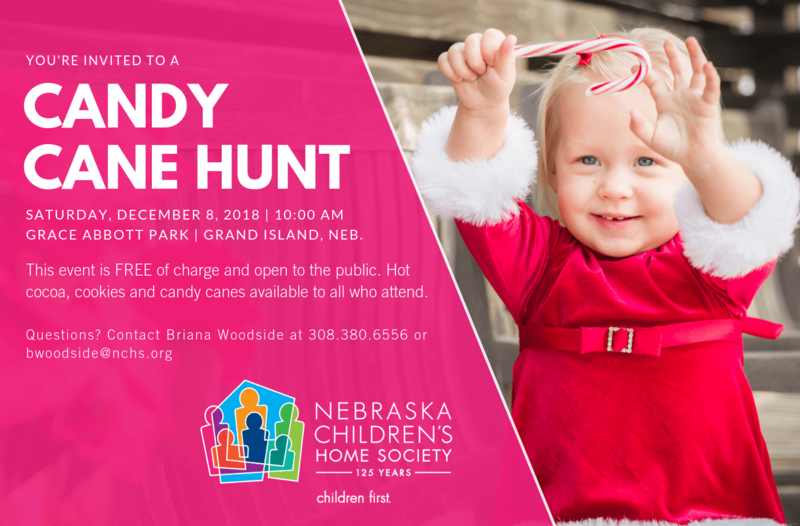 Hundreds of candy canes will be scattered around the Grace Abbott Park and children and families will enjoy cookies and hot cocoa! Children participating in the Hunt will receive an Achievement Award, redeemable for a free kid’s combo at Raising Cane’s, compliments of Southern Hospitality Ventures. Inc., while supplies last. The hunt starts promptly at 10 a.m.